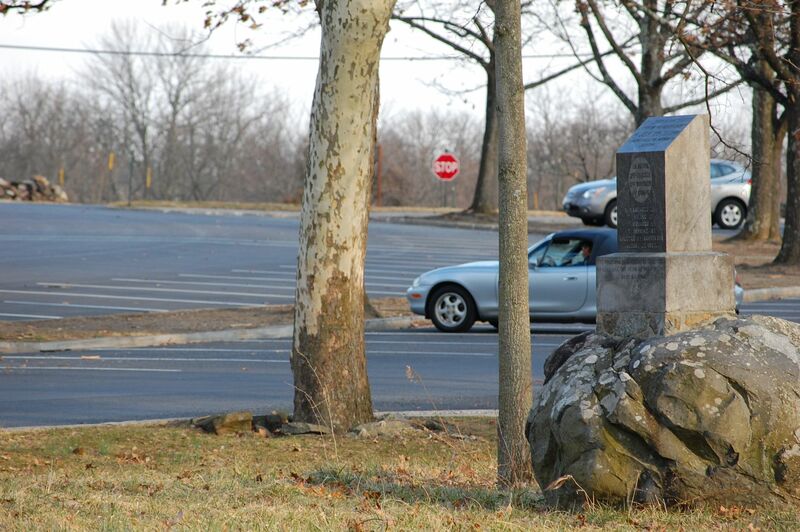 The Ziegler’s Grove monument to the 88th Pennsylvania as it appeared in February of 2012.This view was taken facing east at approximately 4:30 PM on Tuesday, February 21, 2012. 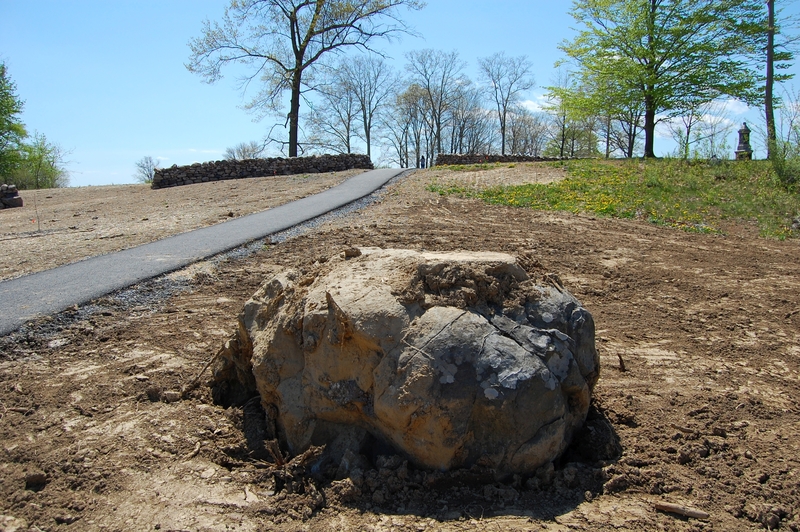 The monument was removed during the reconfiguration of the parking lot. The Cyclorama Building is in the right background.This view was taken facing south at approximately 4:30 PM on Tuesday, February 21, 2012. 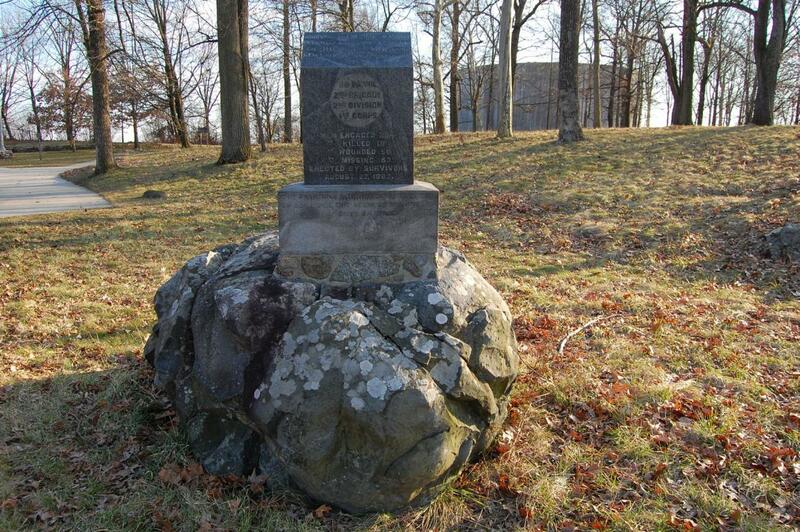 When we were watching the return of the 90th Pennsylvania’s right flank marker, we noticed that they also moved the boulder for the 88th Pennsylvania’s monument.This image was taken facing east at approximately 12:30 PM on Monday, April 17, 2017. 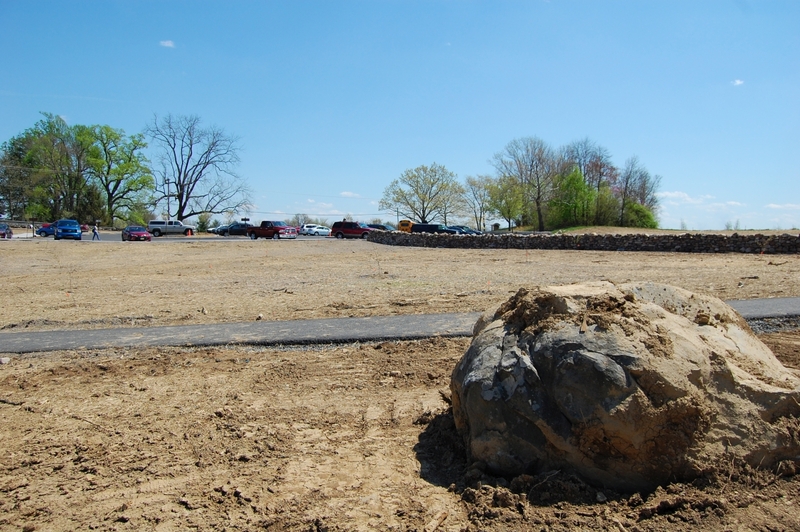 The boulder used to be located closer to the other rocks at the northern end of Cemetery Ridge.This view was taken facing west at approximately 2:50 PM on Sunday, April 2, 2017. 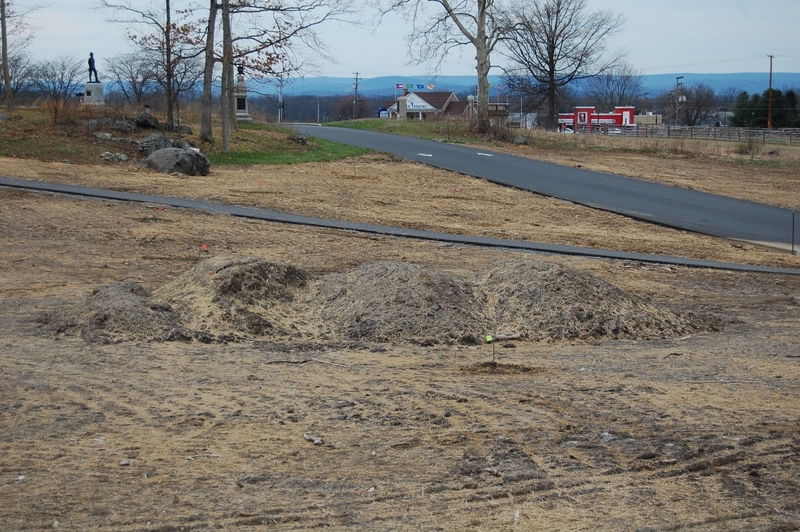 It’s now been moved closer to the “Commemorative Era Sidewalk.”This image was taken facing west at approximately 12:30 PM on Monday, April 17. 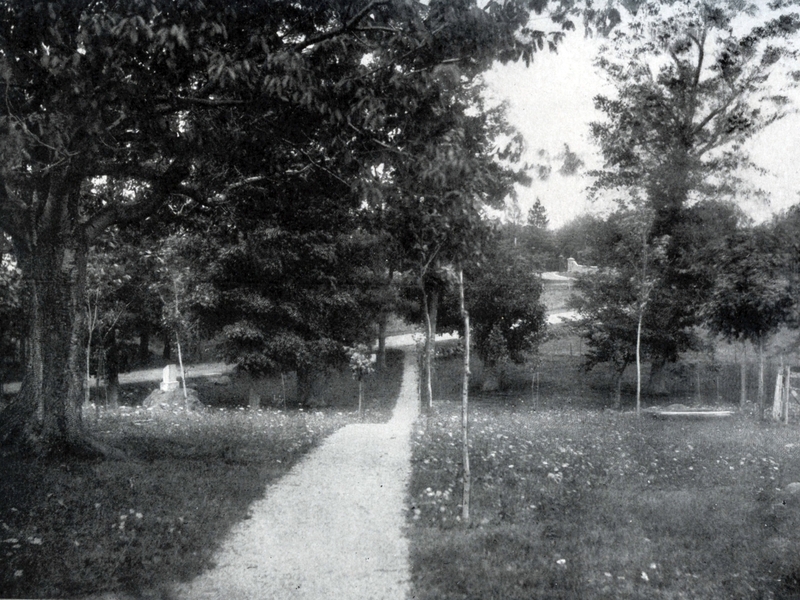 The photographer is standing on the original “Commemorative Era Sidewalk.” The 88th PA’s monument appears on the boulder in the left of this photograph.This view was taken facing northeast circa the 1890s. 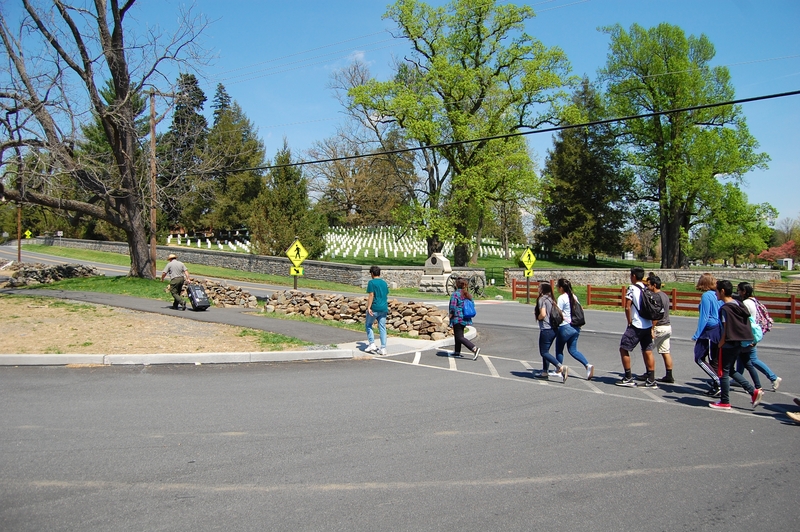 We also saw Gettysburg National Military Park Ranger John Hoptak leading a school group toward the National Cemetery. 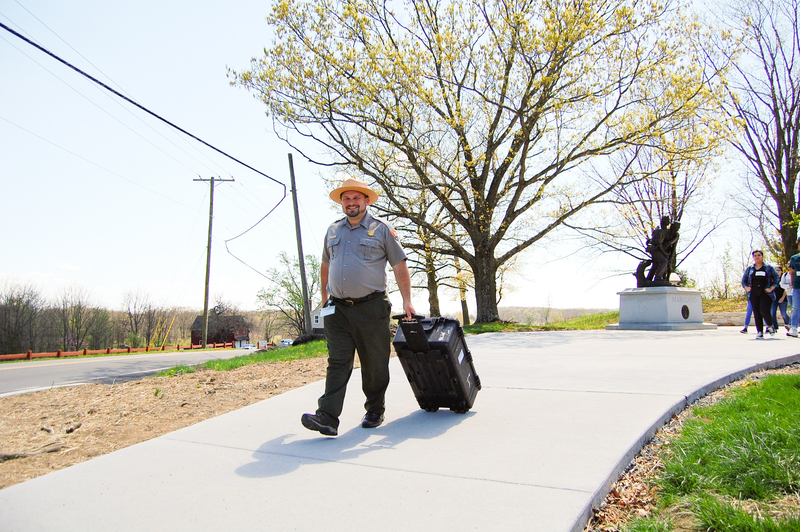 The interpretive staff at Gettysburg National Military Park are in full swing with Spring programming, and will begin expanded programs on May 13th.This image was taken facing south at approximately 12:30 PM on Monday, April 17. “We’re following the leader, the leader, the leader…” Bringing the literal meaning to those “traveling trunks.”This image was taken facing east at approximately 12:30 PM on Monday, April 17, 2017.